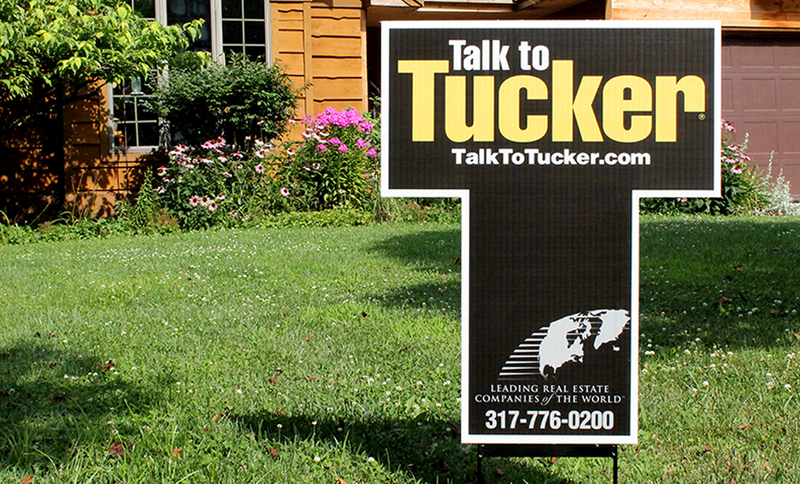 Our FC Tucker Ts are T-shaped yard signs ordered daily by individual offices throughout the state. 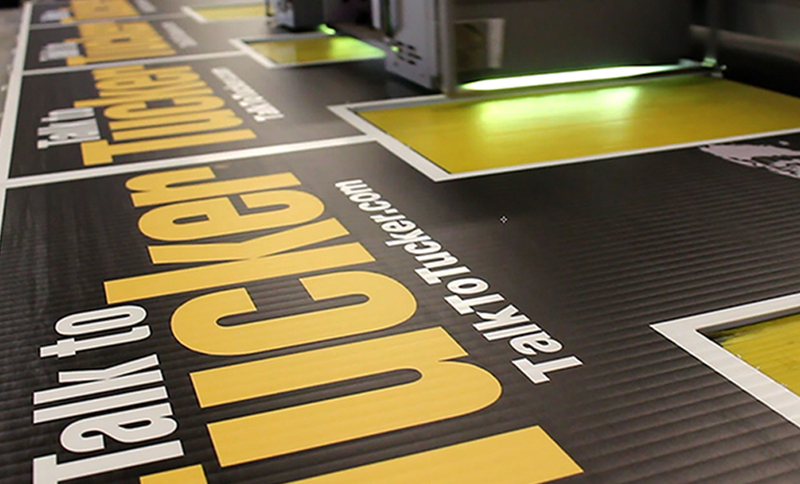 Cut with a CNC machine, each Tucker T sign is printed on 10 millimeter corrugated plastic using our CET printer and individually inspected to ensure the best quality. Each week, we personally deliver our Tucker Ts to their corresponding Indianapolis offices.